Perpetuate high standards of camping and scouting at Camp Wolfeboro. 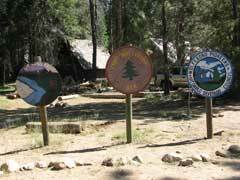 Advise and assist new Scouts and make their stay at camp a happy one. Promote good fellowship and sportsmanship in all activities. 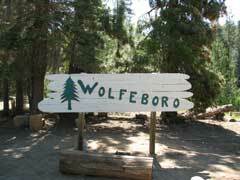 Initiate and complete such projects that will make Wolfeboro a better camp. Assist in receiving and conducting visitors about camp. Encourage camping at Wolfeboro when at home and especially in our own units. Opening Wolfeboro, what does it look like and how do I join? Most Scouts have seen Camp Wolfeboro all set up and ready to go, the Waterfront’s boats are in the water, Scoutcraft’s ropes are ready-at-hand and the Dining Hall is ready for hungry campers. But there are many things done behind the scenes to make the Camp machine run smoothly. The two main work parties before the summer camp staff arrives are the Opening Weekend and, spring Order of the Arrow Ordeal. The 2015 Opening Weekend begins on Friday May 28th and goes through Sunday May 31st. The Ordeal weekend Camp volunteers bring their skills and tools to set up the electrical, water systems and open buildings. During Opening Weekend the power, well water and buildings to occupy until the work crew has them running. Don’t worry if you aren’t a construction expert. There will be people who already have plumbing, electrical and maintenance skills that want to teach you about opening Wolfeboro. This year the Properties Team is extending the work party invitation to adults and scouts 16 years and older. It is possible that camp water and power sources will not be operational. Be prepared with your own tent and mess kit. Bring full water bottles. Food will be provided. Contact Ranger Sean Martin if you have questions or are interested in participating. sean.martin@scouting.org or 510-235-8312. Welcome to the Wolfeboro Pioneers new website. This is a work in progress. Please excuse us if you have some problems with the site, just let Norman Gee know by clicking on his name and we'll get it fixed for you. 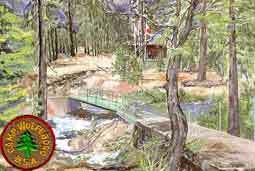 You will find information on the Pioneers as well as information on Camp Wolfeboro. On the Gallery page you can take a virtual tour of Camp Wolfeboro. We welcome your input and ideas for ways to make this site more useful for you! If you have any questions or would like to see something different, please use the form in the Pioneers tab to contact us.